If you are planning to have some adventure, which will shower the Nature’s Beauty over your soul, and let you bring peace to your mind, then you are at right place. Maloomaat.com has gathered up some information about few secret Heavens in Pakistan. 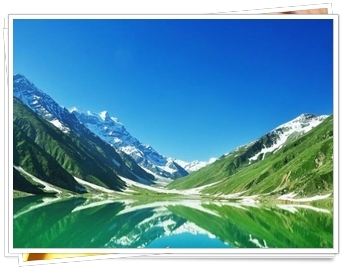 We have collected precious data about 10 Amazingly Beautiful Lakes in Pakistan. All you need to do is pack your bags, call your friends and decide which Lake do you want to visit. These Lakes are such Rare Locations, unlike the Routine Trip Places we hear about. If you really want a Fresh Break for this Kind of Tourism Activity. We recommend these 10 Lakes in Pakistan. These are the Best Places to Visit in terms of Adventure and Nature. Just go through these 10 Beautiful Lakes Information, and if you feel like visiting, search them in Google for more Details and photographs. 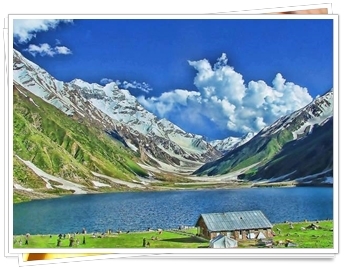 We all have Heard about Kaghan Valley, but very few of us know about Dudipatsar Lake, which is locally known as “Dudipat Jheel”. You will find this Amazing Piece of Nature in Mansehra District, hiding in the North Side of Kaghan Valley, at the height of 4175 meters. It is one of the Most Beautiful Lakes of Pakistan. 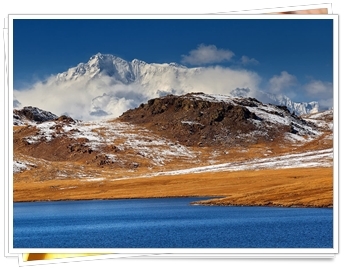 When you will visit this Lake, you will find it surrounded by White Mountains covered with Snow. Thats why its called Dudipatsar as the word “dudi” means white colored, “pat” means mountain and “sar” means lake. The water will be so Clear that it seams like some Mirror, which makes it reflect the Blue Sky. The Best Time to visit this Lake is From June to September. 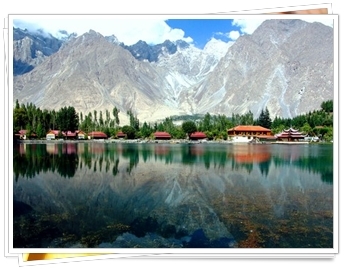 Shangrila Lake is the Most Visited Lake in Pakistan, because you can visit it by just a 15 minutes Drive from Skardu. 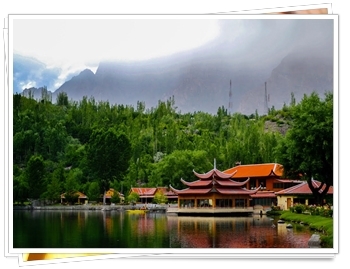 All you need to do is to visit Skardu Town and the people will let you know where to go for this Beautiful Masterpiece of Nature. This lake is locally known as “Kachura Lake” so dont get confused. Shangrila is a word of Chinese Language (Tibetan) which means “Heaven on Earth”. It has many Red Chinese traditional Huts around it, which makes it very Classic and Rare. This Lake is a very Trip, and is perfect from Tourism point of view, as well as for families. This Lake is the Most Commonly Known & Discussed Lake among Pakistanis. All of us have heard about its Beauty. This is the Most Recommended Lake all over Pakistan. Even our Books call it as the Most Beautiful Lake in Pakistan. So you should go visit it yourself for sure. 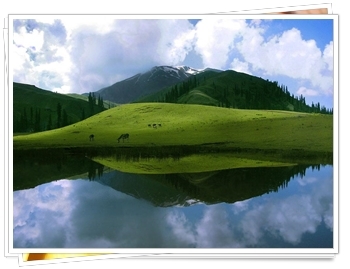 It is also located in the North Side of Kaghan Valley. There are many stories linked with this Lake. You may have heard stories of Fairies which appears here at Full Moon Night. Well you will have to visit this Lake to be sure about this story’s authenticity. 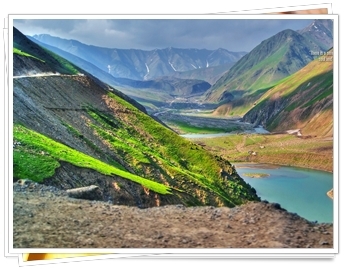 A lot of people who visit Naran, also move ahead to visit Saiful Muluk Lake. This trip is also suitable for Families. 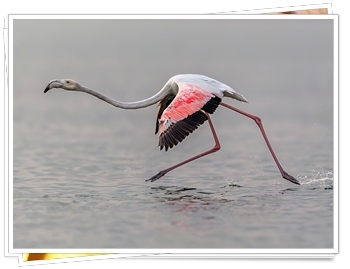 Uchali Lake is known by very few people because of the Amazing & Beautiful Water Birds which keep visiting this Lake and enhance its Beauty with their colors and voices. You will find several kinds of ducks. swans and flamingos in this Lake. So if you select this Lake as your next adventure, you will have to visit District Khushab, Soon Valley. This Lake is Highly Recommended as it is not Snowy and the Weather of this Area is not severe. 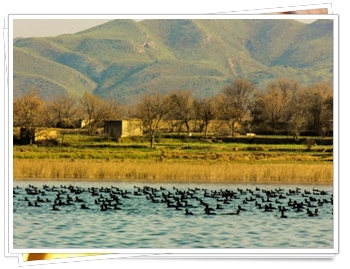 Uchali Lake is a huge Tourism Attraction for Tourists and Hunters because of the Birds here. 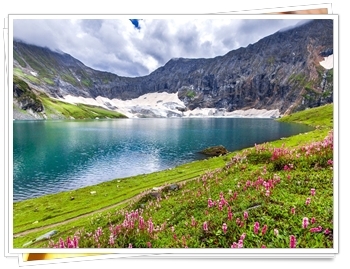 Ratti Gali Lake is known as the “Dream Lake”, so you can imagine and obviously look at the photographs provided by Maloomaat.com to feel how beautiful it is. There are Flowery fields all over this Lake. You will have to pack your bags for Neelam Valley, Azad Kahmir to have this adventure. This lake is at height of 12,130 feet above sea level. And there is a reason for this lake being rarely known. Because only the people with Highest Adventure Thirst can visit this, as you will have experience of a very lengthy hiking trip for several kilometers to reach this spot. Karambar/Qurumbar lake is surrounded by very beautiful montains and it is located very deep between those mountains. 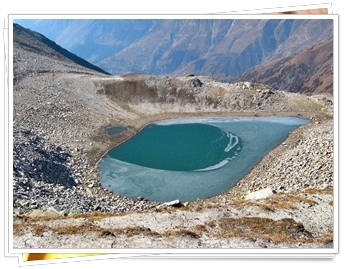 Karambar is among the Lakes at maximum Heights all over the World. Karambar Lake is almost in between the KPK Province and the Gilgit Baltistan. You can view its photographs to calculate its beauty and nature. This Lake is also a Must Visit Lake. 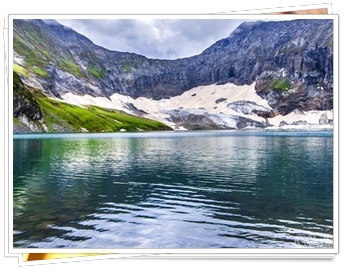 Satpara is among most Breathtaking Lakes in Pakistan. You can visit this Amazing Lake in Gilgit Baltistan. You can search it in Google for exact location and other details. It is also a part of stream known as Satpara Stream. The best thing about this lake is that it is the Largest Fresh Water Lake in Pakistan, and its water is being supplied to whole Skardu Valley. 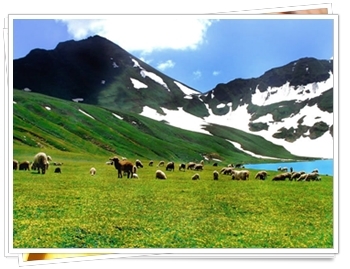 Locally known as “Aansu Jheel”, is another special piece of nature in Kaghan Valley. 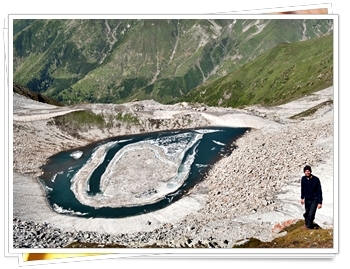 The special thing about Aansu Lake is that its shape looks like a droplet of water or tear(aansu in Urdu). Thats the reason for its Name. 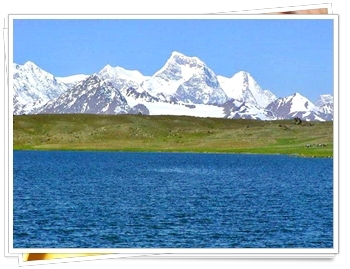 Aansu Lake is internationally praised for its soothing beauty. 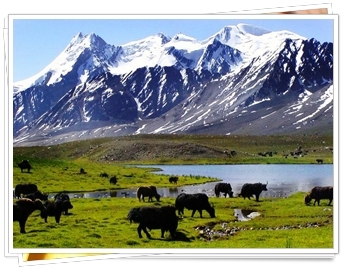 Aansu Lakes attracts several tourists from all over the world. The adventurous part about this Aansu Lake is that all tourists do Camping over here because there are no hotels nearby. Sheosar Lake is also a part of our TOP LIST because of its famous beautiful surroundings in Gilgit Baltistan, Deosai National Park. Sheosar Lake looks amazingly special because of beautiful flowers all over its boundary. This Lake is highly appreciated and praised and is referenced as “Bed of Flowers”. So Sheosar lake is a Must Visit Trip Point. Its almost 3 kilometers lengthy Lake with the depth of about 40 meters. 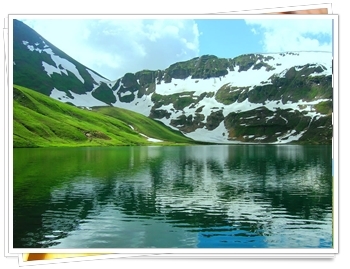 Lulusar Lake is about 300 Km from Mansehra. 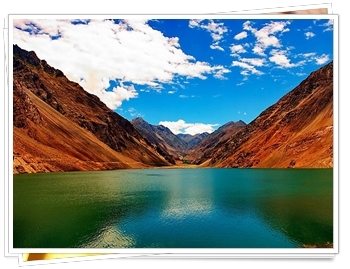 The comon factor between Lulusar and Uchal Lake is the presence of beautiful Birds over these Lakes. 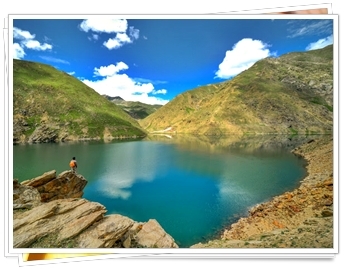 Lulusar Lake is well known for Beautiful Russian Birds. For obvious reasons, this Lake is one of the favourite Spots for International Hunters, and is very famous among Local people. The water of this Lake is so crystal Clear that it seems like some unbelievable dream. Pakistan is an Amazing Country for Tourism. 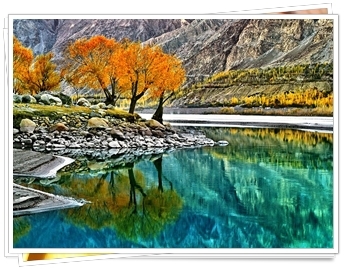 Pakistan still has Several Undiscovered Beautiful Places for the Outsiders, because people have been unable to Visit Pakistan for Security Reasons. However the Future is promising, as Pakistan is moving progressively towards a Peaceful Environment. Pakistan is now becoming Extremely Secure for Tourists.